The Concerto Group took 20 event agencies to Iceland last weekend, including Banks Sadler, Jack Morton Worldwide and AOK Events. The trip was organised as part of the Concerto Clearwinners annual incentive scheme to reward the group’s top-spending agencies, including Added Dimension, AOK Events, Banks Sadler, Eventa, EX Events, GSP Events, Image Events, Jack Morton Worldwide, Melon and Quintessentially Events. The weekend included a reception in an ancient lava river, a black tie dinner at one of Reykjavik’s top restaurants, a sightseeing trip to a geyser which included a lesson in geyser cooking, lunch on a glacier reached by monster truck trough a blizzard, a snowmobile expedition and a relaxing morning spent at the Blue Lagoon geothermal spa. On the last night guests were invited to an Icelandic-themed fancy dress dinner. The trip was produced in house by Concerto Live, The Concerto Group’s live event and brand communication agency. Teresa-Anne Dunleavy said: "Agency business is worth more than £7m per annum to The Concerto Group. Every year we seek to reward our top spending agencies with a unique experience, and this year was no exception. 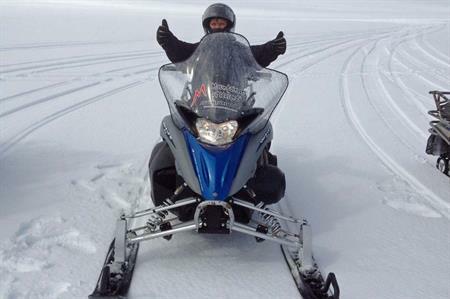 We really pulled out all the stops with this unforgettable Nordic adventure, and with the bar being set ever higher each year guests can expect something truly sensational for 2014." In previous years the trip has taken place in Monte Carlo and Tuscany. Read C&IT's article on Natural icentive ideas.